'Sachin: A Billion Dreams' is an upcoming biographical film about Sachin Tendulkar. It has been written and directed by James Erskine and produced by Ravi Bhagchandka and Carnival Motion Pictures under the banner 200 Not Out Productions. 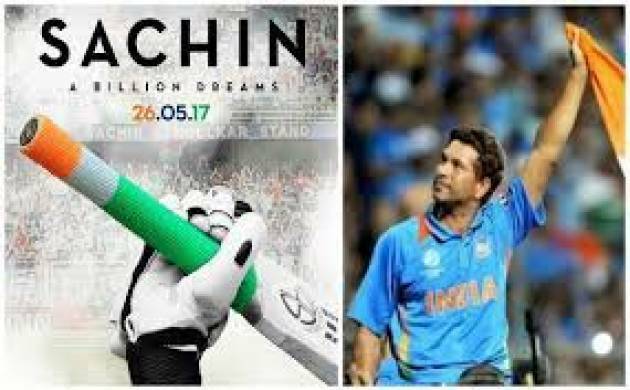 Legendary cricketer Sachin Tendulkar's highly awaited Bollywood biopic 'Sachin: A Billion Dreams', was declared tax free in Odisha on Tuesday. While making this announcement, state Finance minister Shashi Bhushan Behera said entertainment tax for the movie has been waived for audience at theatres throughout the state as the cricket legend is a source of inspiration for the youth. 'Sachin: A Billion Dreams' is an upcoming biographical film written and directed by James Erskine and produced by Ravi Bhagchandka and Carnival Motion Pictures under the banner 200 Not Out Productions. The film is based on the life of Indian cricket legend Sachin Tendulkar. Scheduled to be released on May 26, the film is a presentation on the legend's cricket and personal life showing some aspects of his life not known to the public so far.